Love 'em ! My Dad and brother always added mustard. I just added salt. We got them at Nathan's in Coney Island. There was a place in Baldwin, L.I. that made many types of them and they were absolutely great.....but they closed down. Whenever I visit NYC, one of the first things I do is hunt for a street-corner vendor serving hot knishes. They're not always hot, or even fully cooked, but when they are, they're great! 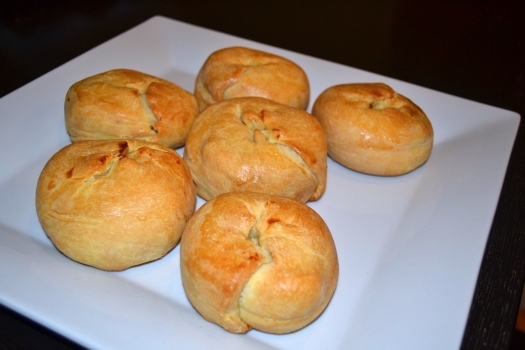 Does anyone remember eating potatoe knishes at places like Coney Island or Far Rockway,Queen,NYC?